[toc]Skin cancer nowadays has become a very common form of disease. A lot of health surveys reveal that at least a half of Americans acquire this disease once in their lifetime. The first signs of skin cancer will actually come from a person’s age. There are three types of skin cancer. The majority of the population suffers from basal cell carcinoma. This is a non-spreading and least dangerous form of skin cancer. The second type of skin cancer is squamous cell carcinoma. This form of cancer originates in the squamous cells that are found in the tissue of the skin of human body. Both of these types of skin cancer do not spread to the rest of the parts of the human body. The third type of skin cancer is melanoma. Although rare, this is a dangerous form of cancer and it does spread through your body. If you find an unusual bump on your skin then you must visit a dermatologist to determine if it is cancerous. Proper skin care is not only important for a better physical appearance but it is also important for a proper health of a person. There are a lot of ways to prevent skin cancer and promote good health. Turmeric is a famous Asian spice and its chemical name is Curcuma longa. This spice is widely used in herbal medicine for the treatment of a variety of diseases. This is also used widely to prepare facial oil by the Asian women. Turmeric is a rich anti-inflammatory herb. It is also a powerful antioxidant. This herb enhances the immunity of the human body and kills the cancer cell properties. Yu can make your oil by mixing turmeric powder in olive oil for several weeks before pressing it and straining it again for personal use. Ester C is a kind of vitamin C that gets absorbed in the skin directly. 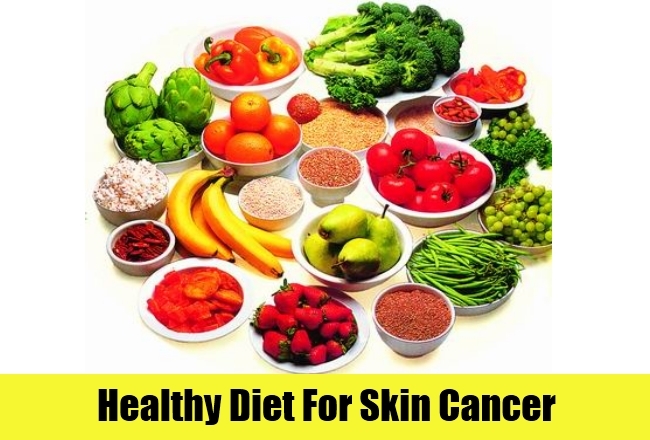 Vitamins C in the skin will aid in prevent the skin from the harmful effects of the UV rays of the sun and it will also protect human body from skin cancer. There are a lot of topical creams and lotions in the market that contain Ester C.
Vitamin E is a very powerful antioxidant and just like vitamin C this also helps our skin from the harmful UV rays of the sun. This particular vitamin has become a common ingredient in most of the topical anti-aging creams and other skin lotions etc. This vitamin is used as a medicine in many home remedies for the treatment of a variety of diseases. If this vitamin is applied on the burns directly it will help in prevent scars on the skin. There are a lot of topical creams and lotions in the market and the number of these cosmetics keeps increasing due to research advances day after day. The essential oils like calendula, sandalwood, rose, chamomile, helichrysum etc have all got anti-cancer and anti-inflammatory properties. Aloe, comfrey, sea buckthorn are some other herbs that are also popular in the cosmetic industry these days due to their moisturizing and anti-cancer properties. You must wear a sunscreen daily. You should always choose a sunscreen with an SPF 50. When outside working in the yard, on the beach or simply working in the sun, you must always be well protected. There are a lot of people who shop for sunscreen lotions and creams by the brand name. But, this is one mistake that you must avoid. You should shop for a sunscreen looking at the SPF. If you will be out in the sun for a long time then you must choose and SPF that is 50. The higher SPF will ensure that your sunscreen gives an effective protection from UV rays and skin cancer. If you want to avoid a deadly disease from attacking your body then the basic step for prevention is a healthy and balanced diet. There are certain vitamins and minerals which contribute a lot to the good skin health. In general, all the vitamins and minerals promote a healthy skin. But, a daily intake of vitamin D is very important if you want to keep skin cancer at bay. This particular vitamin is found in milk, and cod liver oil. Green tea is rich in antioxidants and helps in getting rid of the free radicals in the human body. You must include red grapes in your diet as they contain resveratrol. This is a chemical which is good for your skin. Include a lot of fruits and vegetables in your diet. You must eat food products that are rich in antioxidants as they will promote good health of your skin. Cod liver oil, fish oil, monounsaturated fatty acids and polyunsaturated fatty acids are some essential fat required by your body. These fats will protect your skin from harmful diseases and promote a healthy glow. You must remember that virgin coconut oil is extremely good for your skin and overall body. This oil can also treat skin cancer. Virgin coconut oil promotes good health of the skin and also protects it from harmful diseases. Coconut oil is a natural skin sunscreen and will protect you all the time from the harmful UV rays of the sun. This is the reason why you can use virgin coconut oil on your body as a moisturizer. You must never use skin products that have harmful chemicals. Tanning beds these days have become very popular among the women and girls of all ages. These tanning beds provide women a much desired golden glow on their skin. But what most women forget is that these beds contain harmful ultraviolet rays. When this radiation penetrates the skin, it causes skin lesions. This is the reason why tanning beds take people a step nearer towards skin cancer especially the deadly disease “Melanoma”. Melanoma has caused a lot of deaths in today’s world. Therefore, you should try and get a tan naturally and not use these harmful machines for your desire.